Dr. Werber advises that you shouldn’t induce vomiting. “Once a bone gets safely down the esophagus and into the stomach, we do not recommend having the dog throw it up because we don’t want to risk a sharp sliver of bone cutting the esophagus on the way up and out,” he explains. 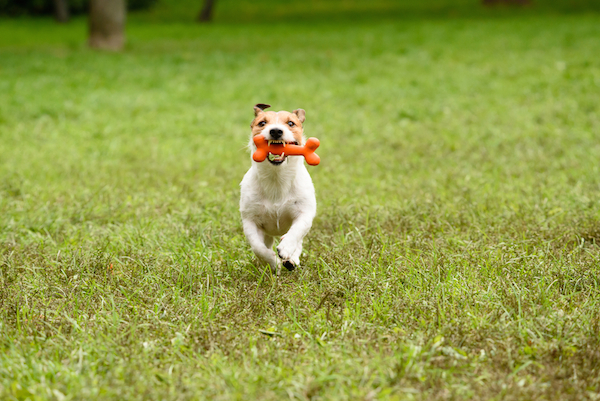 Unlike the large, hard bones many of us buy for our dogs to chew “chicken bones are very soft and often leave very sharp edges when broken,” Dr. Werber says. This is what makes them especially dangerous for dogs. Dogs who eat chicken bones “run the risk of tearing the esophagus or tearing somewhere along the intestinal tract, ” Dr. Werber says. This is why it’s so important to make sure dogs don’t have access to chicken bones. If your dog finds a chicken bone and begins to choke on it, it could be up to you to save your dog’s life. “Choking dogs are treated very similarly to humans who are choking,” Dr. Werber says. The post So, Your Dog Ate a Chicken Bone — Here’s What to Do appeared first on Dogster.